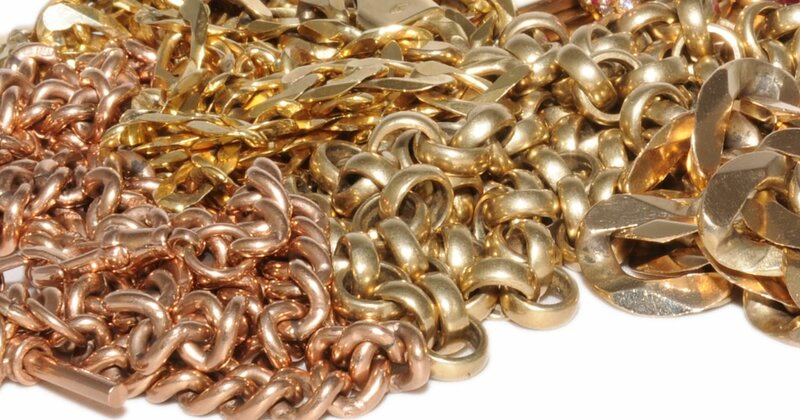 A common misconception is that rose gold is more valuable than yellow or white gold. However, its colour is altered by the other metals the gold is alloyed with. The amount of gold contained in a piece of rose gold is exactly the same for a comparative piece of yellow or white gold of the same purity. The colour of gold is altered according to the ratio of copper, zinc and silver added. As already stated, the amount of gold used is fixed according to the purity (or carat) of the gold. Therefore, it’s the mix of the other metals that changes the colour. With rose gold, more copper is added & less zinc and/or silver is used. With white gold, less copper is used and more zinc and/or silver is added. 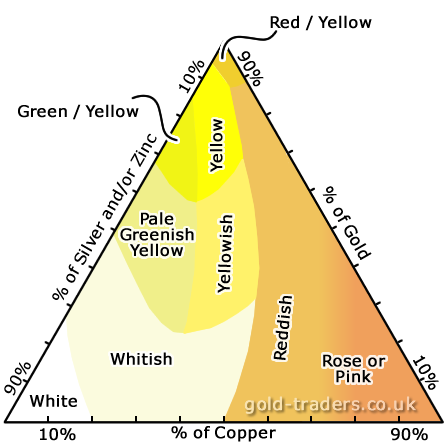 It’s worth noting that white gold isn’t truly white, it’s still a very pale yellow. The perfect silver/white appearance of white gold is achieved by giving the item a plating of rhodium. So, bear in mind that over time that rhodium plating will wear away and reveal the true colour underneath, at which point you’ll need to get it re-plated to restore it to its original colour. If this is likely to be an issue, it’s probably better to consider having the item made of platinum or palladium instead. Gold-Traders is currently paying £ for all 9ct gold. 14ct rose gold is 58.5% gold. Gold-Traders is currently paying £ for all 14ct gold. Please be aware that 14ct gold is very popular in countries such as Greece. However, whereas jewellery purchased in the UK is subject to very strict hallmarking legislation that guarantees the purity of the item, such rules do not exist in Greece. Through our own experience, it appears to be common practice for a piece of Greek jewellery that’s stamped as 14ct gold only to contain between 50 – 55% gold. Just as 18ct yellow and white gold contains 75% gold, so does 18ct rose gold. The remaining 25% of the alloy is mostly copper with a very small amount of silver and/or zinc. Gold-Traders is currently paying £ for all 18ct gold, for both hallmarked and non-hallmarked items.